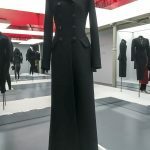 The legendary fashion designer Kenzo Takada may have retired from his eponymous label KENZO two decades ago, but the end of one phase didn’t necessarily signal retirement. 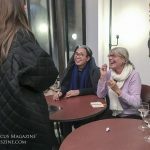 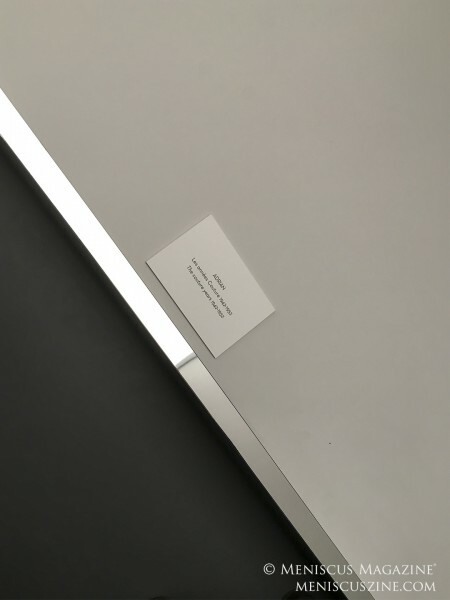 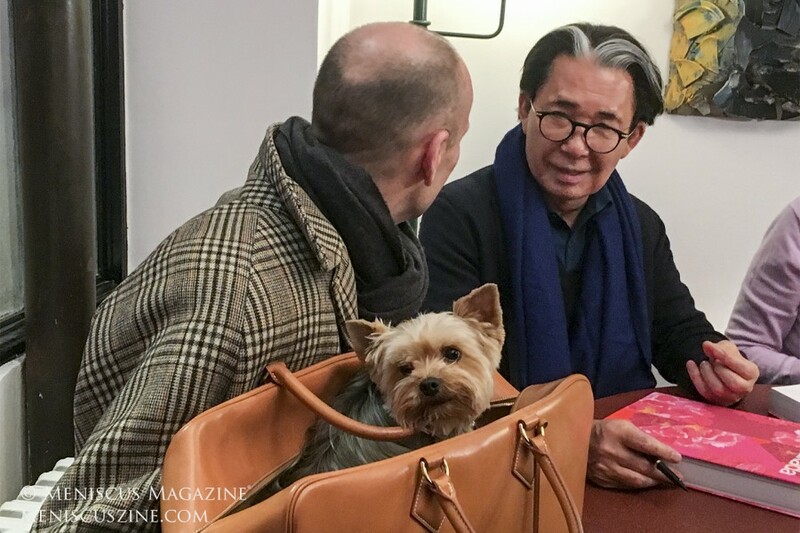 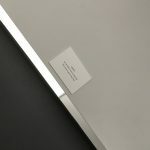 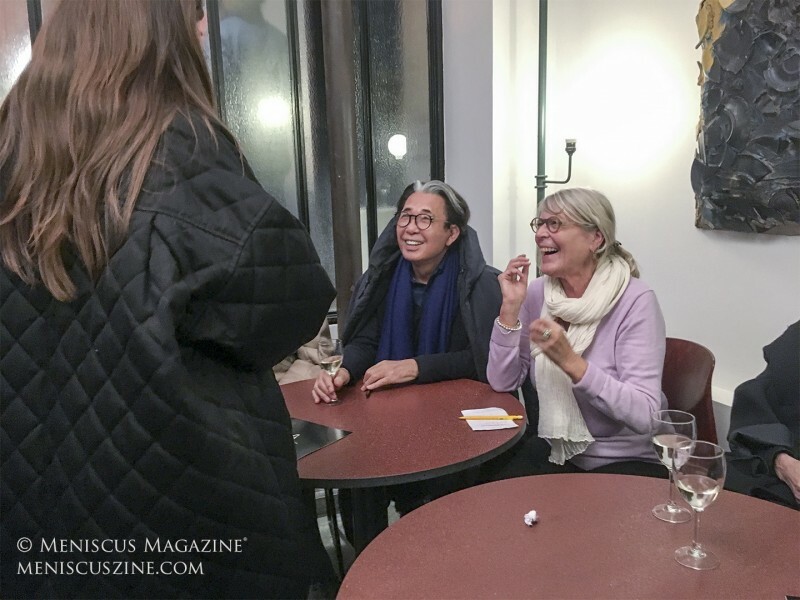 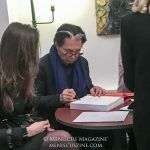 For his latest project, days after turning 80, Takada appeared at the Azzedine Alaïa Association to sign copies of his book, Kenzo Takada, co-written with Kazuko and Chihiro Masui, and published by Editions du Chêne in November. 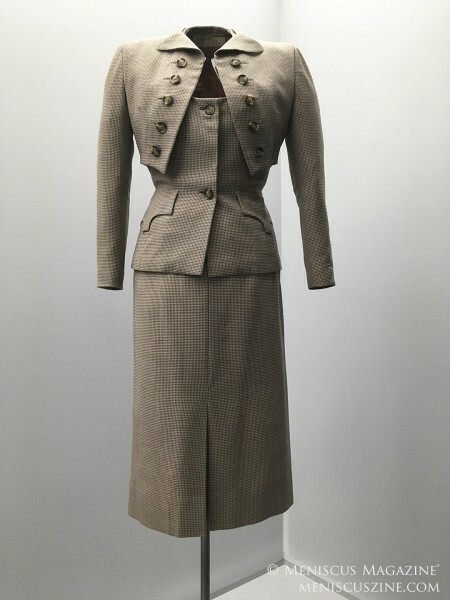 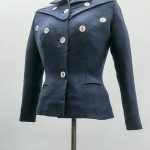 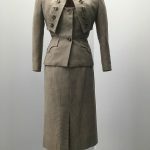 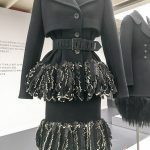 The book details Takada’s life from the very beginning, and includes such first-person accounts as his long boat journey from Japan to France in the 1960’s to pursue his dream of becoming a fashion designer. 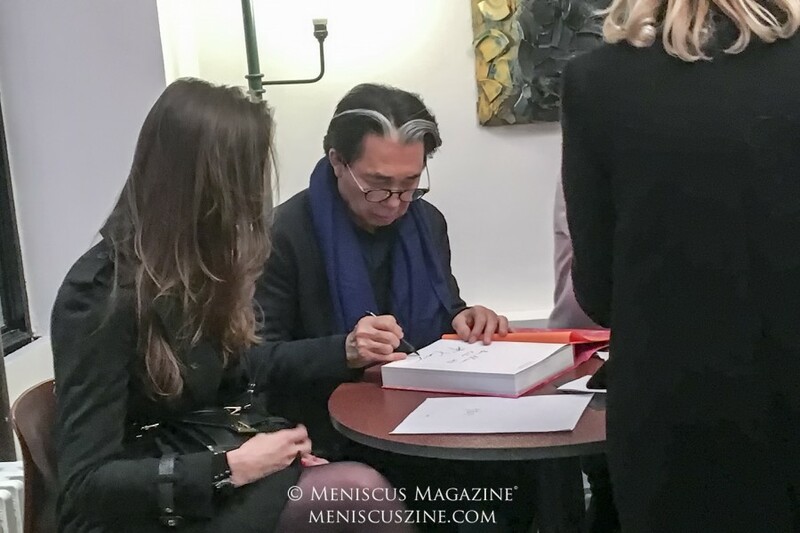 But for those who cannot read French, the 560-page volume can be considered as a scrapbook, with a sizable section dedicated to Takada’s fashion sketches. 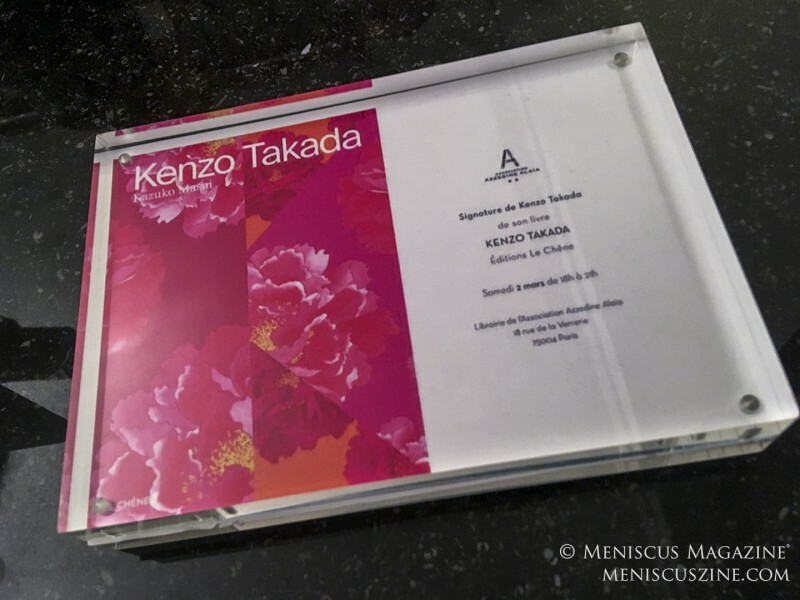 Also included are images from KENZO editorial shoots and early family photos from his life in Japan, where he graduated from the prestigious Bunka Fashion College (whose alumni also include Yohji Yamamoto, Junya Watanabe and Jun Takahashi of Undercover). 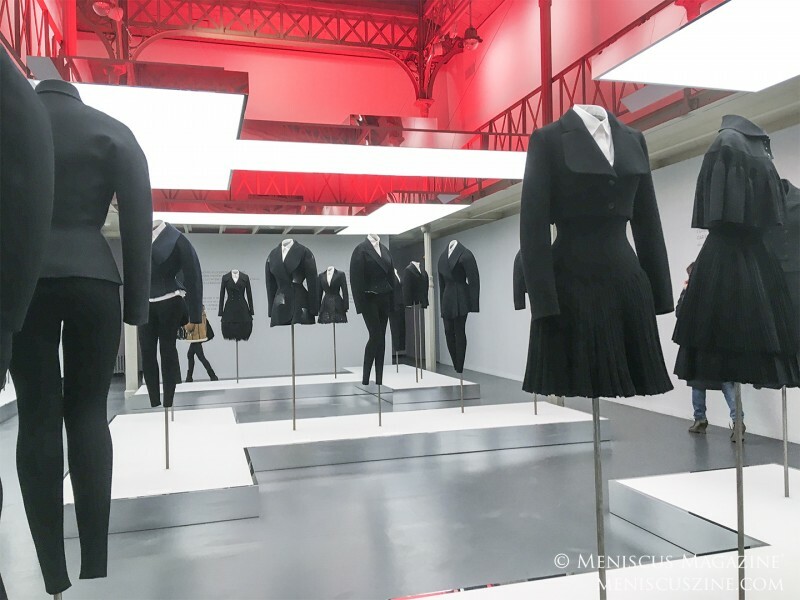 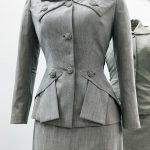 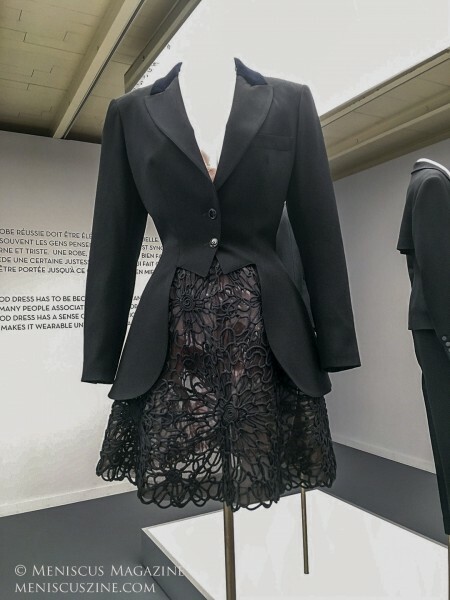 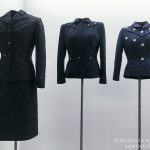 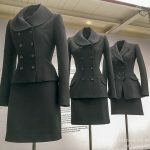 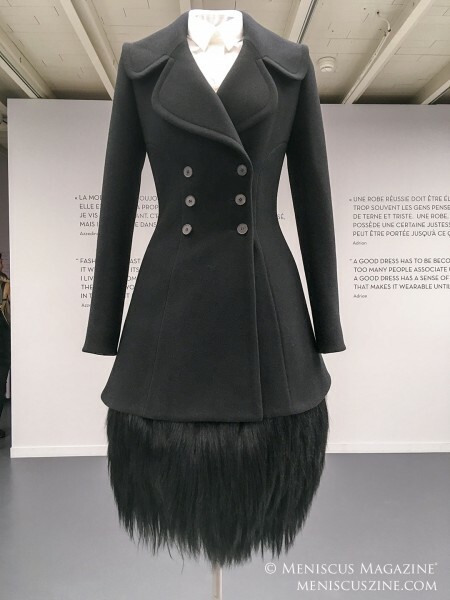 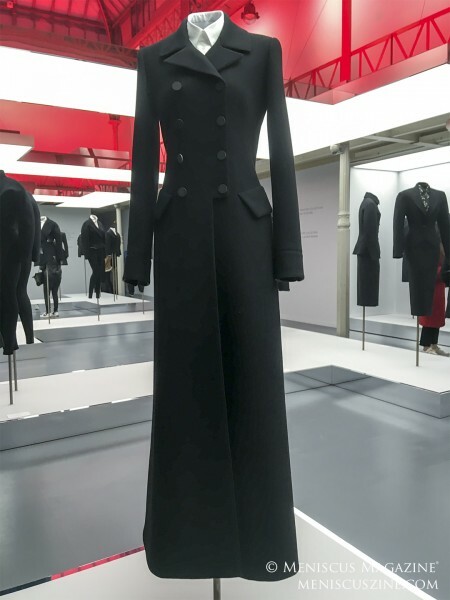 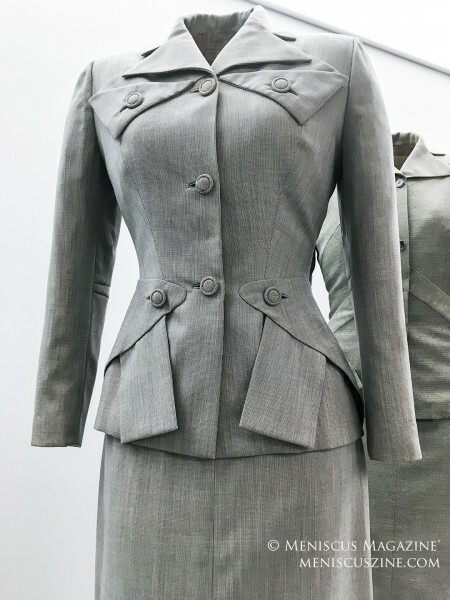 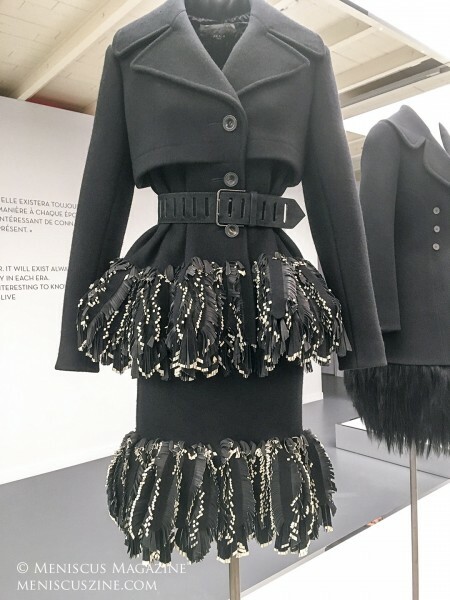 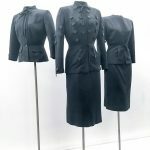 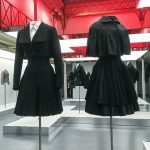 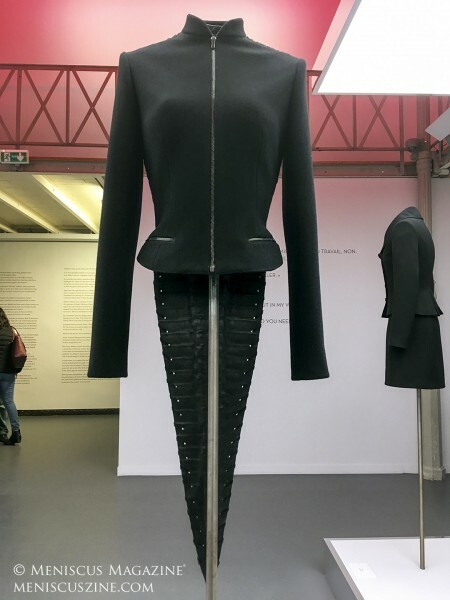 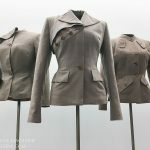 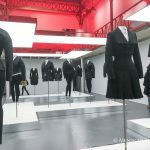 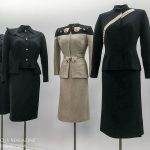 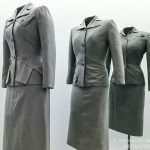 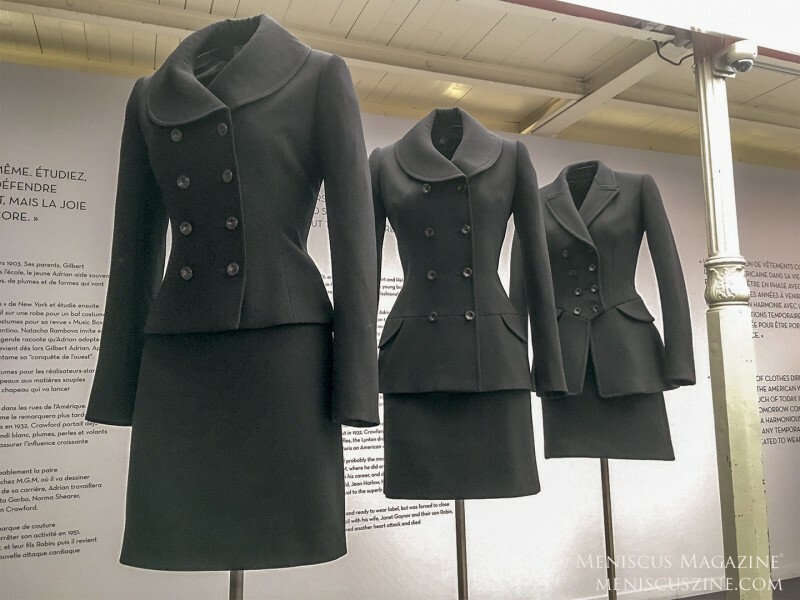 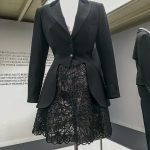 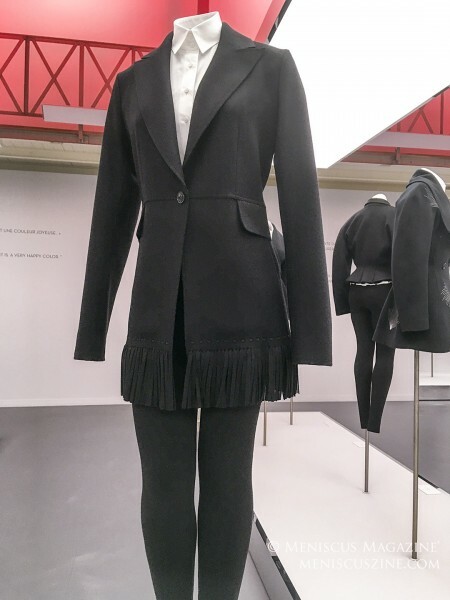 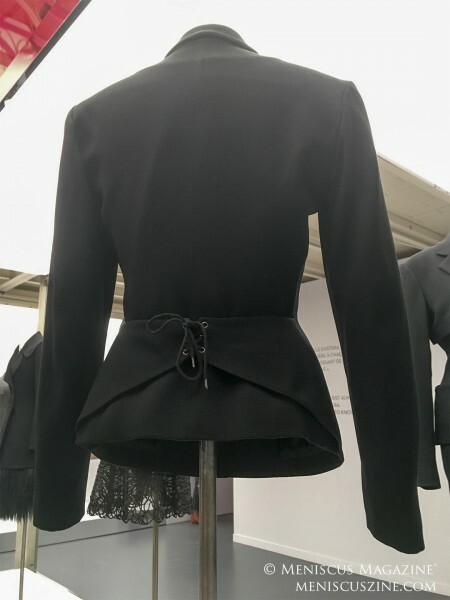 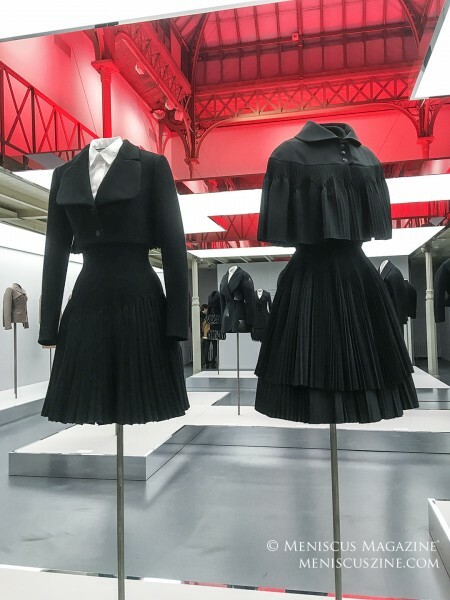 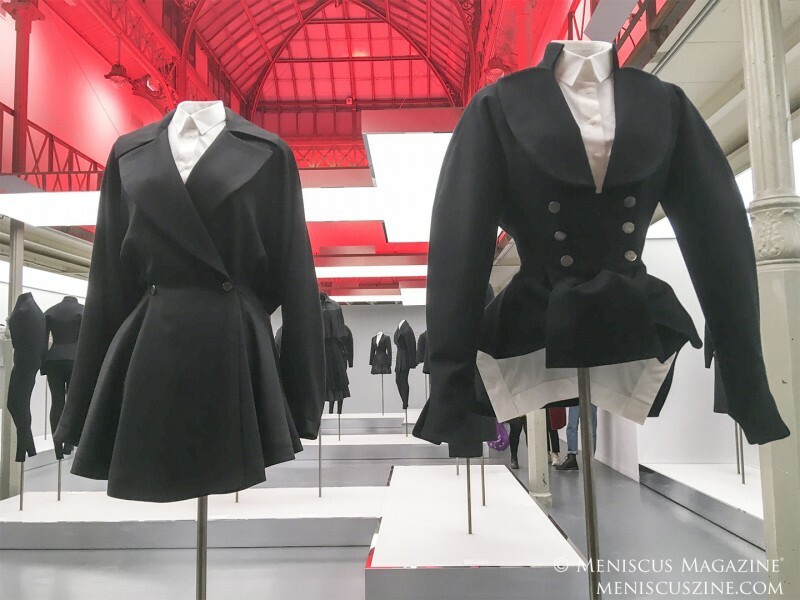 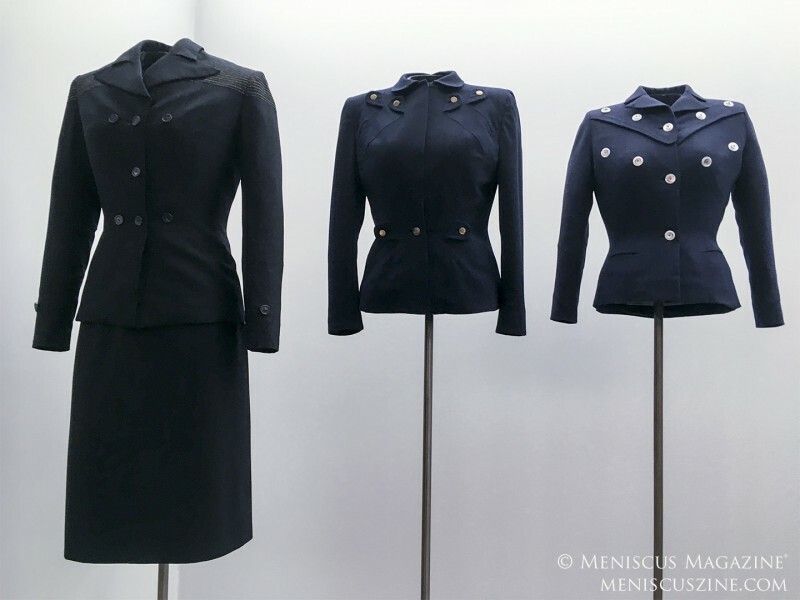 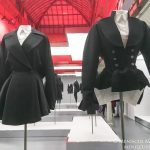 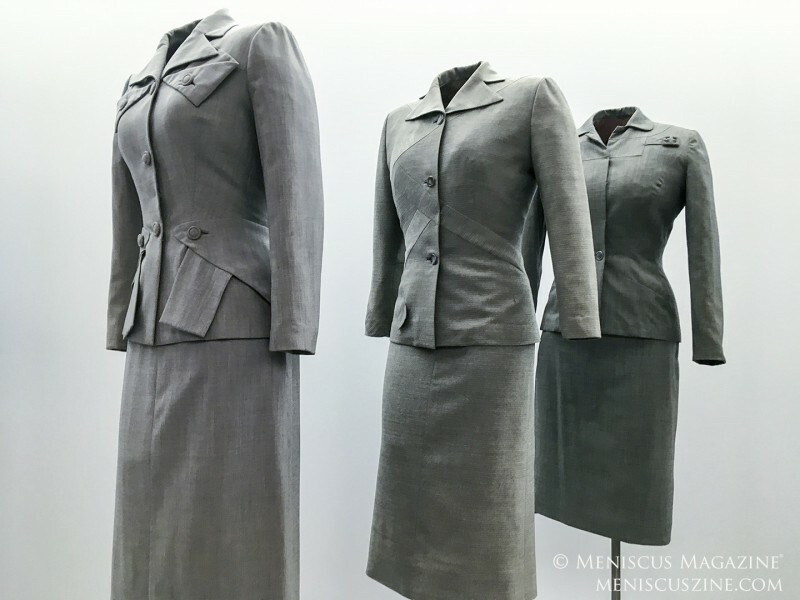 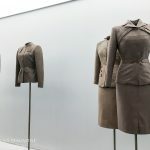 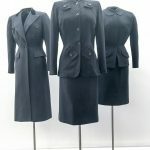 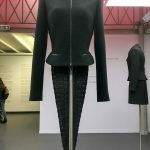 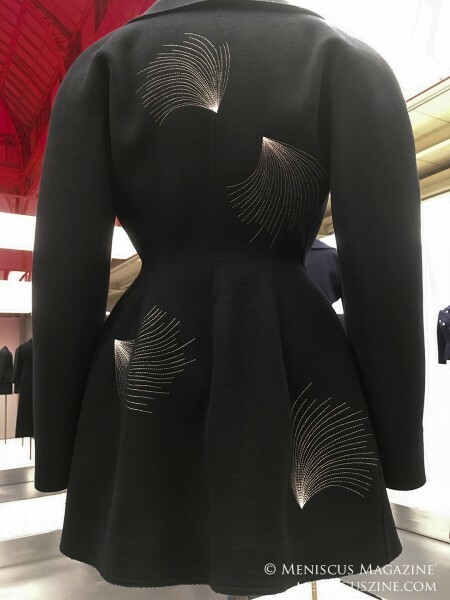 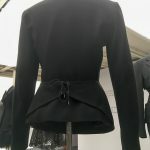 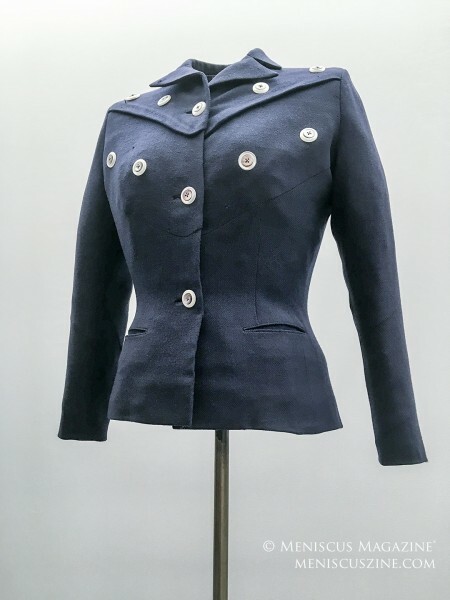 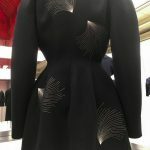 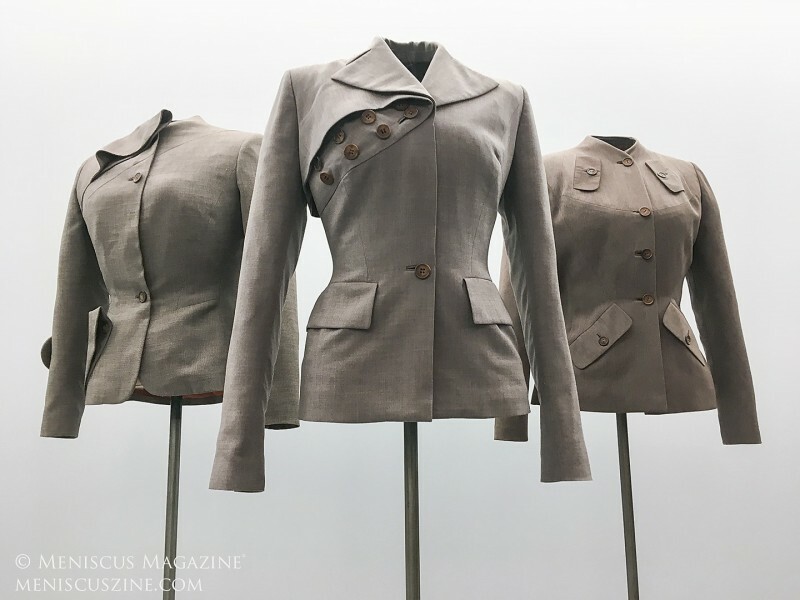 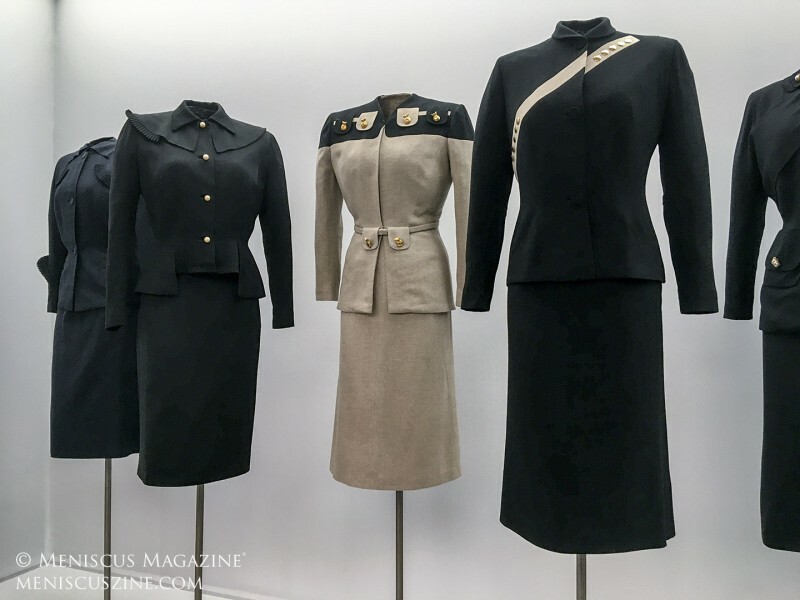 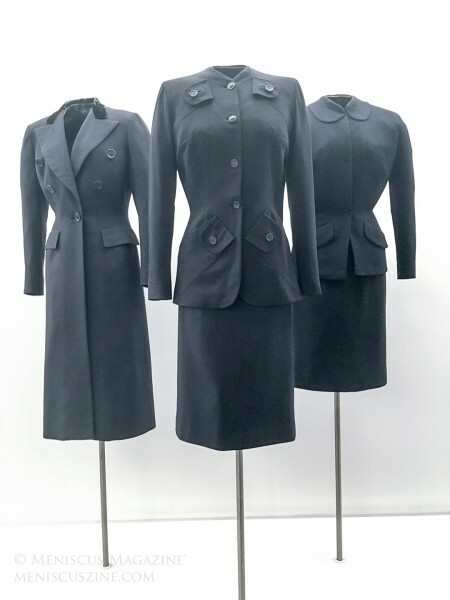 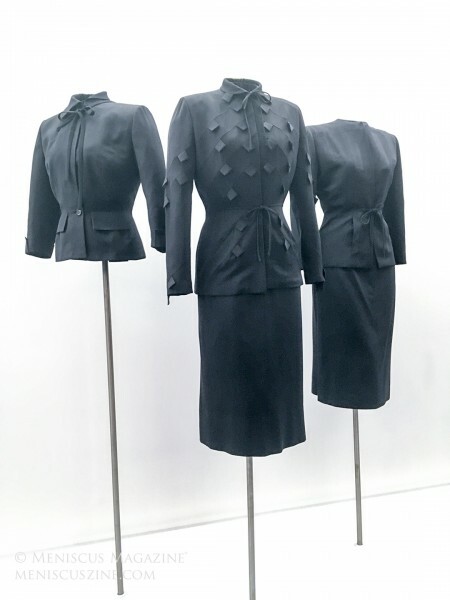 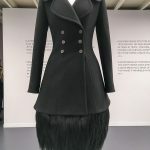 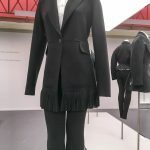 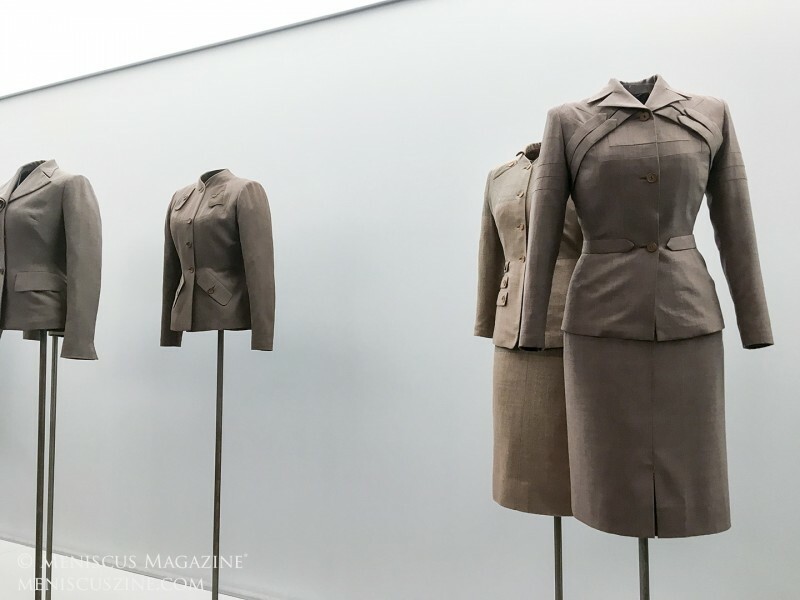 The exhibit Adrian and Alaïa: The Art of Tailoring is on display until June 23 at the Azzedine Alaïa Association. 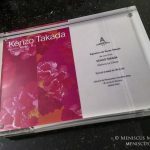 The book Kenzo Takada is on sale at the Association’s bookstore for EUR 50.00. 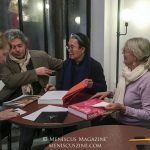 The Association is located at 18 rue de la Verrerie, 75004 Paris, France. 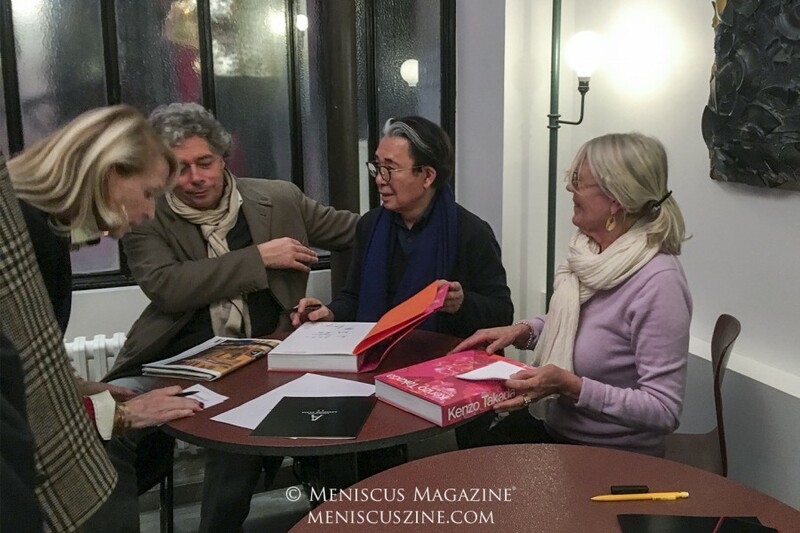 All photos by Yuan-Kwan Chan / Meniscus Magazine.